Stevens President Nariman Farvardin; Governor Richard Codey; Matt Hunt, president of the Student Government Association; Sara Klein, assistant vice president for student affairs. 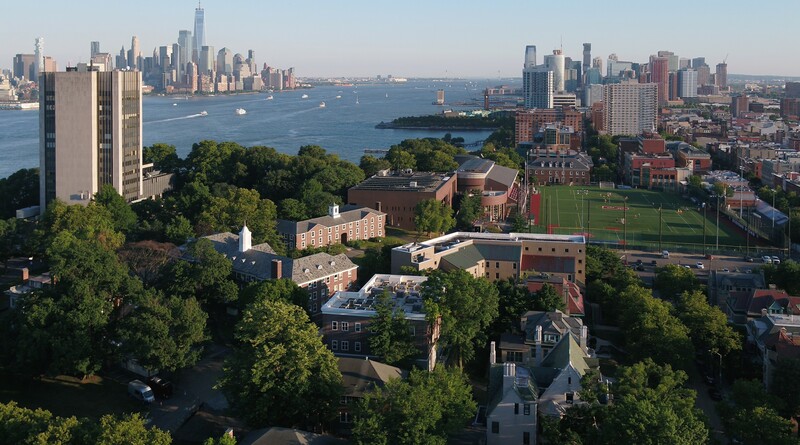 HOBOKEN, NEW JERSEY – Stevens Institute of Technology highlighted its commitment to mental health and wellness at a campus event on Wednesday that featured former Governor Richard Codey declaring Stevens a "Stigma-Free Campus." Codey, a state senator who represents parts of Essex County, presented Stevens President Nariman Farvardin with two stigma-free signs that will be prominently posted on campus as part of the university’s pledge to the Codey Fund for Mental Health, a foundation started by Richard Codey and his wife Mary Jo Codey in 2012 to increase awareness of, and reduce stigmas surrounding, mental health disorders. President Farvardin said Stevens was proud to join a growing list of New Jersey colleges and universities and municipalities to be declared “Stigma-Free,” adding that lifting the stigma serves to remove the single biggest barrier between the people suffering with mental health disorders and the treatment that can change their lives. At Stevens, the Office of Counseling and Psychological Services offers short-term therapy through appointments or walk-in hours, which is free for Stevens students. In his remarks, Codey affirmed that access to comprehensive care and quality treatment for individuals with mental illness is a right. Sharing the personal experiences of his own family and the recovery of his wife from mental illness as a result of postpartum depression, he urged individuals suffering from mental illness to “speak up” because the condition, he says, can be treated successfully. “When it lingers and lingers is when you need help,” he said. The announcement was made during the inaugural Stevens THRIVE, a volunteer expo and wellness event that promotes the mental, physical and emotional well-being of students and the entire Stevens community. Representatives from community-based organizations, such as the Society for the Prevention of Teen Suicide and New Jersey QUITLINE, wellness centers and local gyms hosted informational tables spread out across Stevens’ Palmer Lawn to educate students about their mission, create service partnerships, and recruit students for volunteer opportunities. The mental health of our students is a priority, said Sara Klein, assistant vice president for student affairs. This year, the Student Affairs team is promoting a “Don’t Stand By, Speak Up!” campaign to encourage students to be proactive when a peer needs help and support. The campaign encompasses many issues that undergraduate students may experience, including mental health concerns, said Klein. In addition to the campaign, any member of the Stevens community can submit an online CARE report if there is a concern about a student. The report prompts the CARE team, comprised of administrators who work directly with students, to follow up and respond to the concern.